The parable, told by Jesus, revolves around a man’s invitations to a great banquet. In the ancient world, such a meal would have been preceded by invitations and would require an RSVP. Last-second refusals pour in, despite the RSVPs. The servant tells the master of the refusals and the master decides, however, that his party will go on anyway. The promised celebration will be held as announced. The host angered but not defeated, sends the servant out into the streets so the poor, maimed, blind and lame may come. God now will invite all kinds of people to the table, and some who had appeared to be in line for an invitation will miss the meal, by choice: when the time to celebrate arrives, they refuse what is on offer. The servant reports back, noting that many have come but the room is not yet full. So a second invitation goes out to those on the highways and in the hedges; thus the invitation is now extended to travelers from outside the city who may not know the host. The party goes on despite the reneging of the original invitees. The party is not postponed; others are invited to take their place. The opportunity has been lost by some, grace has been extended to others, but the meal is still served. 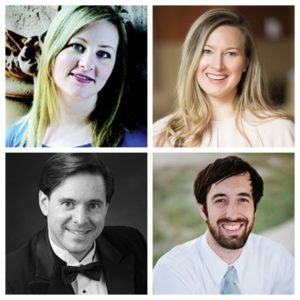 Considering the intimate nature of this pastoral work, the Colorado Bach Ensemble’s interpretation will present four vocal soloists. Praised for her “darkly pretty voice,” mezzo-soprano Rebecca L. Robinson is quickly making a name for herself as a rising talent in the opera world. She recently completed the Professional Certificate program at the University of Colorado–Boulder where she was seen in Eklund Opera productions as the title role in Rossini’s La Cenerentola (Cinderella), Ottone in Monteverdi’s L’incoronazione di Poppea, and Dorabella in Cosi fan Tutte, as well as in recital with the world-renowned Takács Quartet. She was awarded 3rd place in the Denver Lyric Opera Guild competition in 2016, and named a finalist in the Bruce Ekstrand Competition, which recognizes and awards development grants to promising graduate students. After two busy and successful years at CU, Rebecca decided to call these mountains home and is now based in Denver, CO.
American tenor John Carlo Pierce enjoys an international reputation for beautiful sound and incisive acting. He holds a Master of Music degree from the Eastman School of Music and Doctor of Musical Arts degree from the University of Connecticut. Prior to his appointment at CSU, Dr. Pierce was most recently assistant professor of voice at New Mexico State University (NSU), and director of the Doña Ana Lyric Opera, NSU’s educational opera company. He has directed productions of Dido and Aeneas, Serse, Orphée aux enfers, and Suor Angelica. Praised by the Dallas Morning News for his “appealingly rich baritone” and “sensitive singing”, Aaron Harp is building a reputation around the nation as a stylistic performer of early music. Recent solo engagements include performances of J.S. Bach’s St. Matthew Passion, St. John Passion, Mass in B minor, and Christmas Oratorio, Handel’s Messiah, and Mozart’s Requiem. Aaron spent the last five years directing choirs at the secondary level and recently relocated to Colorado to pursue a doctorate in choral conducting at the University of Colorado Boulder. He graduated with a Master of Music degree in vocal performance and choral conducting from the University of North Texas where he studied with Jennifer Lane and Stephen Morscheck and performed extensively with the university’s ensembles. He received his Bachelor of Music degree from Ouachita Baptist University in vocal performance. Interesting to note: the orchestra will include a violoncello piccolo, commonly used in the first part of the 18th century. Don’t miss this opportunity to hear the talented voices of our soloists paired with our instrumentalists in delivering this intimate and gorgeous piece of music. 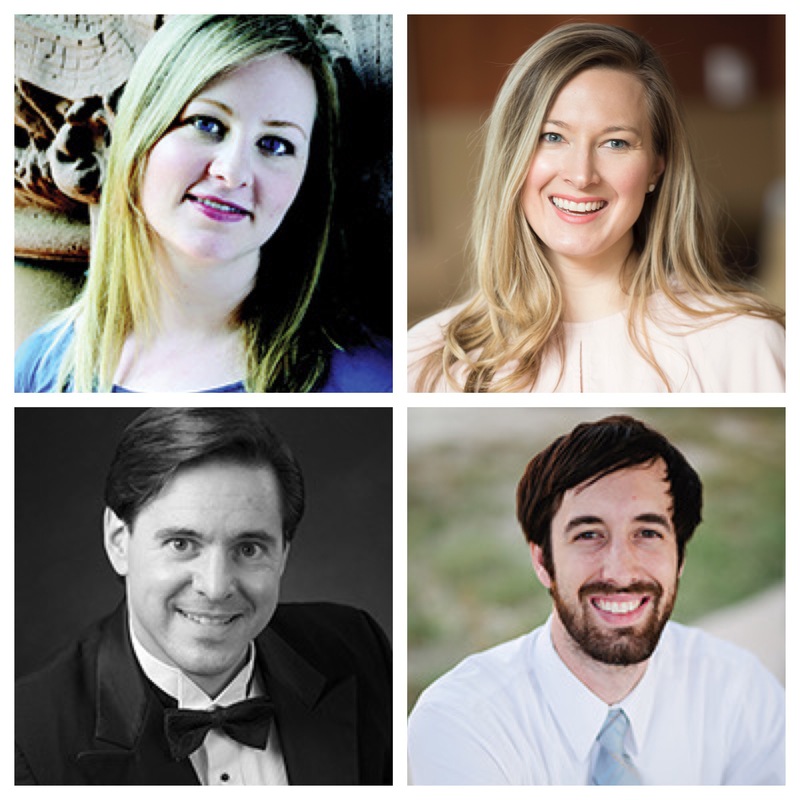 Purchase tickets today for BWV 180: Schmücke dich, o liebe Seele (Beloved soul, adorn yourself) on Friday, October 12, in Ft. Collins and Sunday, October 14, in Cherry Hills Village.